Prerequisites: Pre-algebra, I kept most math out of the course, but it comes up in a few places. Test Prep: This course does not correlate well with any one test. It covers some topics on the AP Environmental Science test and on the CLEP Natural Sciences test. You would need to get other resources and do additional study to be able to do well on these tests. Notes: Hold onto all of your written work for this course as a record. When using the GVL site, you will not have access to the Discovery videos. Just follow the directions I give in the course. I provide links to other videos or readings. This course does have a lot of reading. Some of it is on a college level. You will also be weeding through two different points of view. Scientists will give completely opposite conclusions. Always be on the lookout for what is fact and what is assumption. (*)Print out the first quarter grading sheet or use the first quarter Excel version. Let’s begin at the beginning. Read What Is a Biblical Worldview? Read pages 1, 2 and 3 on the formation of the solar system. Just read. Don’t worry about any of the extra things on the pages. You’ll just click on the tabs labeled 2 and 3 to go to the next pages. 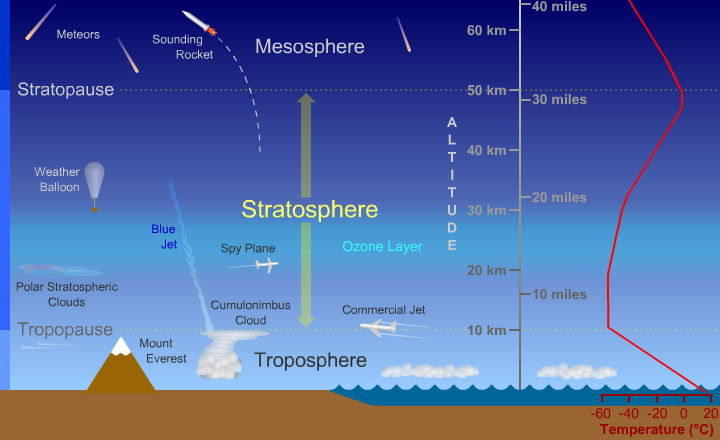 If you can’t use Flash, here’s a little diagram of the atmosphere. You can get much of the same info from this image. Make observations. (Make sure to check out the temperature.) What do you notice? You are going to read a chapter called, Big Bang?, from the Answers in Genesis site. Scroll to the bottom and read the questions so that you can be thinking about them when they come up in the article. Then read the article. You can stop where it says 2.1, the summaries of reference articles, but you can read those if you find this stuff interesting and want to know more. Answer the questions at the end of the chapter. Always answer in complete sentences. Record 18 points for completion. Lose a point for any answer that doesn’t answer the question completely. Lost a point for any answer not in a complete sentence. Read the next chapter, Origins of the Solar System. Stop, if you want, at the article summaries. Record 12 points for completion. Lose a point for any answer that doesn’t answer the question completely. Lost a point for any answer not in a complete sentence. Read about the formation of oceans on page 4. Read this page on the evaluation of theories. We will be learning an alternative theory on the formation of ocean trenches. Read page 5 about the structure of the earth. You can also read about the layers of the earth here. Draw/make a model of the earth’s structure. Figure out their relative thicknesses. Do you know why the earth’s center is solid even though it’s hotter than the outer core? The inner core literally has the weight of the world on it. The pressure of it all holds those molecules in place. Read about the earth’s internal heat source on page 6. Today watch this video on the earth’s radioactivity. I know this is hard stuff, but get the idea. Read pages 2 and 3 on plate tectonics. You can use the activities on the page. Read pages 4, 5, and 6 on plate boundaries. You can use the activities on the page, but you don’t have to do the word search. Read through Ocean Trenches. Click on Next Page to move on. Click on Next Page after the picture and read through the first page on the origin of trenches. Write a paragraph or tell someone a general summary of how he believes ocean trenches formed. BTW, the author is an MIT graduate. Read about different theories on the formation of trenches. I know it’s a lot. Take what you can from it. Take your time to look at and understand the images. Explain to someone what you learned from the page on the formation of ocean trenches. Take a look at the comparison chart on the following page. Read the next chapter, Geologic Column. Read the next chapter, The Fossil Record. Today you’re going to work on a little vocabulary. Work to learn any new vocabulary from the first page of the new unit on the rock cycle. You can also read page two on minerals. The links it tells you to read don’t work. Don’t worry about them. See what kinds of minerals are in your environment. Collect a couple of rocks to identify if you want. Go through the rock cycle interactive. Keep moving through the whole thing through Test Your Skills. 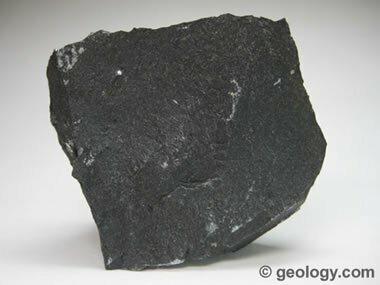 Read about the formation of igneous rocks on page 3. Watch this video on the formation of igneous rocks. Read about sedimentary rocks on page 4 and try to answer the questions. Watch the video on sedimentary rocks. 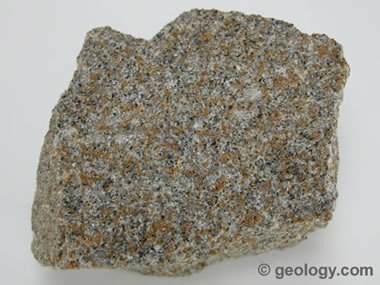 Read about metamorphic rocks on page 5. You don’t have to do the card deck classification at the bottom of the page. 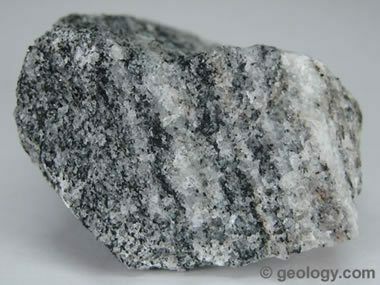 Watch the video on metamorphic rocks. Read about the rock cycle on page 6. If it’s working, you can do the drag and drop activity. *Cut out the pieces on page 2 and arrange (and glue if you can) them to show the rock cycle. Check your answer. Record up to 15 points for each piece in the right place. Read pages 1 and 2 on erosion and weathering. Make sure to learn the vocabulary. Read page 3 on erosion and soil. Use the links about soil profile and erosion. The link on soil texture doesn’t work. You can read this article on soil texture. This is a short article on erosion and some things that can help prevent soil erosion. Look at this weathering assignment. Score up to 4 points for each question answered with complete sentences. Add two points. (This assignment changed.) Record your total score out of 46 points. Read ideas about the origin of the Grand Canyon. Read the questions for chapter 18. Read the article on the formation of the Grand Canyon. Answer the questions for chapter 18. Score up to 3 points for each complete answer written in complete sentences. There’s lots more on this topic in the online textbook if you are interested in reading more. Read page 4 on mass wasting and stop after the box with arrows and five flashcard things. Where it asks, “Did you know,” you just need to click on Show Answer and read the info. In the box, click on show or the box by “Definition” and read all of the information. Turn the pages to go through all five. Read through the presentation on mass wasting. Go back to page 4 and do the last six questions at the bottom of the page under the box with definitions. Answer before you check. Score one point for every correct answer. Answer the two questions at the bottom of the page. The first, “Why is the hydrologic cycle an important process for Earth” answer as a paragraph. The second, “Is there a beginning or end to the hydrologic cycle,” can be answered in a sentence. Record up to 7 points. Score 3 points and 1 point for the content of the answer, and 2 points and 1 point for the structure of your answer. Read about aquifers and ground water. Play with the pumps and make observations. Answer the six questions following the image. Write answers in complete sentences before checking your answers. Record up to 12 points. You only get points for any answer written in complete sentences. Read page 6 about glaciers. DO NOT use the links on the page. Just read the top of the page. Use the following links to answer the questions about glaciers. Record up to 16 points. Score up to two points for each complete answer. A complete answer answers the question and is in a complete sentence. The answer should tell what the question was. Read an article about the ice age. Answer the questions for chapter 16 using the article you read on Day 38. Record up to 16 points for complete answers. Read pages 1 and 2 on dating and work to learn the vocabulary. Answer the questions for chapter 23 which you read on Day 41. Record up to 14 points for complete answers written in complete sentences. Read page 3 about absolute age. I find the title of this a little obnoxious. Counting tree rings and carbon dating aren’t the same in their “absoluteness.” We’ll read more about carbon dating from a creationist perspective. Watch the dendrochronology presentation on the page. The root “dendro” means tree. The root “chron” means time. The suffix “ology” means the study of. Use the Java half-life simulation or watch the video of it. Answer the questions at the bottom of page three using the simulation. Say something is a foot tall, and it is cut in half every 30 seconds (half life). Draw a graph (or make one online or on the computer) that shows its size versus time. How would the graph change if it started at two feet? How would the graph change if each half life was twice as long? Answer the questions for chapter 7 which you read on Day 44. Figure your grade for the quarter. What can you do to improve your grade? Where did you lose points? Aim for a perfect score. Save all of your written work for your portfolio. (*)Print out the second quarter grading sheet or use the second quarter Excel version. We’ve already read the creationist perspective of the fossil record. Let’s learn more about it. Read page 4 on fossils. Answer the questions at the bottom of the page. Choose one of the interactive maps and then click the globe icon on the far left side. Choose your state or a state from the list and click Zoom. Use the key to read the map. Write a paragraph describing the geological structure of the state. Look up any terms from the key you need to. Read page 2 about Precambrian time. We’re going to read the other point of view. We’ll continue reading the alternative perspective as well. Watch the video on the page about volcanoes. Choose an article to read about volcanoes. Read about Mount St. Helens. Record up to 6 points for complete answers in complete sentences. Read page 3 on the Paleozoic Era. Read this article about biological evolution and answer the questions at the bottom of the page. You have today and Day 51 to complete this. Finish reading the article about biological evolution and answering the questions at the bottom of the page. Record up to 22 points for complete answers in complete sentences. Read about the Mesozoic Era on page four. Read about human and dinosaur fossils. Read page 5 about the Cenozoic Age. Read this article about Genesis genealogies. Read about biomes on page 2. Click on each circle at the bottom of the page to read about each biome. There are links within each one to read its description and to learn about its location, temperature and precipitation. Make two graphs that show the temperature and precipitation of all the biomes. Use one color for each biome and use that same color on both graphs. Make sure to label your graphs and to make a key that shows what each color stands for. Learn about aquatic biomes on page 3. Use this website to make a chart about animals, vegetation, climate, and location in the following biomes: freshwater, marine. What is the biome where you live? Write a page description of your area that includes vegetation, animals, climate, temperature, and location. You can use the link from Day 55 to help you. Record up to ten points for including each of the five areas and for writing in proper sentences and with an introduction and conclusion. Read this packet of info (from wikispaces) and review all the info in the charts. You don’t have to do any of the activities except on page 9. Write how the different levels are interdependent. How are organisms interdependent on the population and how is the population interdependent on the community, etc. Read page one about weather and climate. Write down the vocabulary and all of the questions with room to answer. Your job by the end of this unit is to have written in answers to all of those questions. Watch the video on page 3 on the ozone. Read about the sun’s impact on weather. Don’t forget that you need to be answering the questions from Day 58. Read page four about factors that affect climate. (*)Complete the lab on the angle of incidence. Print out the chart or make your own. Answer the questions. There are six blanks on the chart and four questions to answer. Score up to two points each for completion. Record your score out of 20. Read page five about ocean currents. Watch the video on the page about ocean currents. Read about the Coriolis Effect and other wind patterns. Go through all four pages. Are there any questions from Day 58 that you could answer today? Scroll down a little on this page and look for air masses. Go through the sections on air masses and fronts. Read about wind belts. (You don’t have to do the activity). Scroll down on each page to skim the articles on El Nino and La Nina. You should know in general what they are and their effect. Read about severe weather. Read about thunderstorms and then use the links on the right to learn about other severe weather. Any answers you can answer today? They are due on Day 64. You can research any answers you haven’t found in your reading. On page 9 quiz yourself on the vocabulary using the flashcards at the bottom of the screen. Predict the weather. Do all three levels. 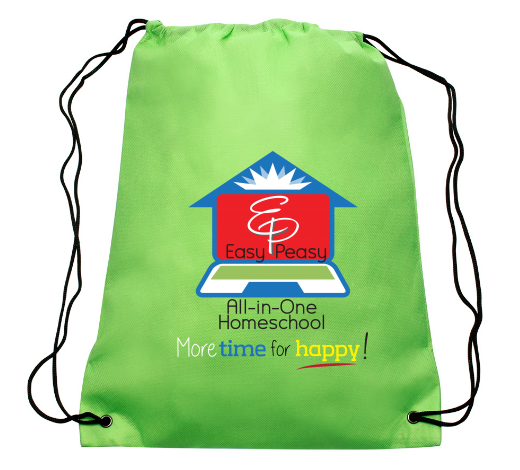 Login with easypeasy and allin1homeschool . This login is just for Easy Peasy students to do their assignments. Finish answering any questions you haven’t yet from Day 58. There are nine questions. Record up to 18 points for complete answers. Read about the oxygen cycle. Watch this video on the hydrolic and carbon cycles. Record up to ten points for including at least ten things on your diagram. Watch the video on photosynthesis. Draw a diagram of the process of photosynthesis. Record up to five points for including at least five things on your diagram. Read through page two on the oxygen and carbon cycles. Don’t worry about videos on the page. Make sure to read the questions and answers at the bottom of the page. Record up to 36 points. Score up to two points for each question (24 points) and one point for each blank in the chart and for each cookie drawing (12 points). Watch the video from the page on the nitrogen and phosphorus cycles. Then play the nitrogen cycle game. Record up to five points for completion. Record up to 10 points for figuring out the answers to the five questions. Draw a diagram of the nitrogen cycle. Record up to five points for including at least five items. Write a paragraph about the phosphorus cycle. You can use page four to help you out. Record up to five points for five sentences in paragraph form (intro, detail, detail, detail, conclusion). Read page two about fossil fuels. Write down all of the orange words and their definitions. Their definitions are in the text or show up when you hover on the word. Watch the video on the formation of fossil fuels. Study these two charts. Write a paragraph or explain to someone what they show. What’s left of the earth’s non-renewable resources? The top one is just a picture. Scroll down to use the interactive one. What are the pros and cons of using gas? What are the pros and cons of using oil? Read about the greenhouse effect by watching the video. Record up to five points for correct answers to the five questions. Complete the virtual lab on greenhouse gases. Finish the page. There’s a chart and four questions for you. Here’s a temperature graph. There is a graph of gases on the page. You don’t need to download the app. Use the graphs to do as best as you can. 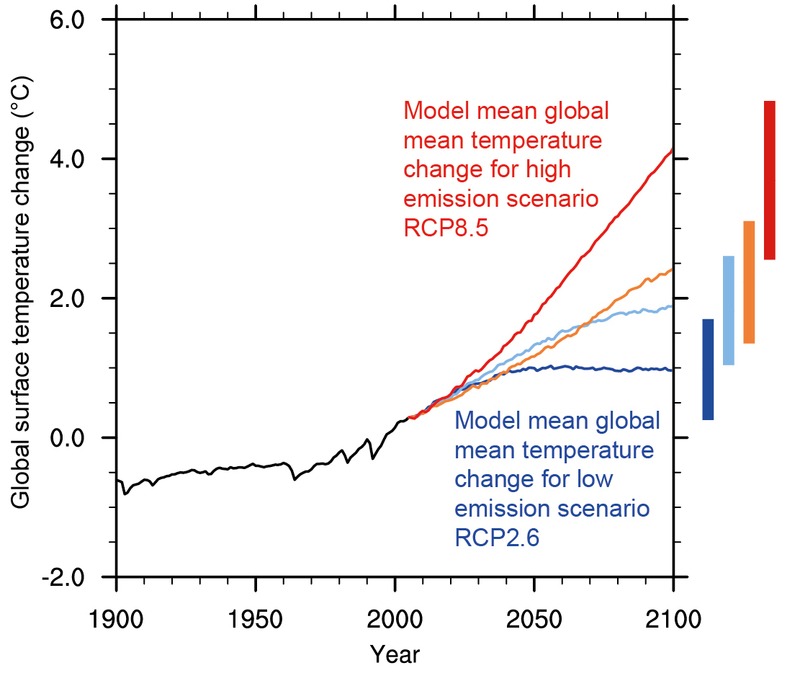 Here’s a graph of temperature projections. Here’s a graph of gas emissions projections. It doesn’t separate the gases. You can use it to make estimations for your chart. Record up to 28 points for completing the assignment. Watch the video on What is Global Warming? On Day 78 you need to have complete-sentence answers to the questions for chapter 16. Record up to 7 points for 7 complete answers. Watch the short video on hydropower. Use some of the links to learn more. Read about solar power. Stop at Solar Power Tower. Watch the video on solar powered cars. On Day 82 you’ll be building something. Decide today what you’ll build and get what you need collected. On Day 86 you’ll need up to 7 clean Ziploc bags any size that would fit an index card inside, petroleum jelly, up to 7 index cards. On Day 85 you’ll need three Ziploc bags, a few paper towels, 15 Lima beans, and vinegar. Take the wind power quiz. Go through the review on page 7. Build an alternative energy something. Below are just some ideas. You can find your own project idea if you like. Record 20 points for completion and take a look at Day 83’s assignment now! Complete a science lab report on your project. Use this grading guideline to know what you should include. You can use a description instead of a photograph is you want. Use the rubric linked in #1 to score your project. Record up to 20 points. Read primary air pollutants and the causes of air pollution on page 3. Read just the top intro part about the Great Smog. SOAK your 15 Lima beans overnight in warm water. Complete the lab on the effects of acid rain. Score up to 12 points for completing all the parts/questions of the lab report. Score up to 16 points for completing your table (even though there are more than 16 blanks to fill in). Record your score out of 28 when the lab is complete on Day 90. Today you’re going to do a lab on air pollution. You don’t have to do seven locations. Do at least 5, including the control. Today set it up. You will have to leave this for 24 hours. Then come back to fill in your data chart and write your lab report as described. You need ziplock bags, index cards, petroleum jelly, magnifying glass. If you can’t do this lab, you can do this online virtual lab, but warning, this is harder. You can start your lab report today. You might want to work on your reading for Day 87 because you’ll have to finish your lab report on Day 87 as well. Go through page four on the effects of air pollution. Choose a topic for a report. You will research and write a report 500-1000 words on the topic. It’s due Day 90. Here is the rubric for how you will be graded. You will be scored out of five for each of five categories only, from thesis statement through conclusion. Add a bibliography with at least six sources listed. Choose an earth science topic related to what we’ve covered so far. You might consider earthquakes or tornadoes or cloud formations. Work on your report. Make sure you write it in proper form: introduction (last sentence is your main idea), details (each paragraph starts with a main idea sentence and ends with a transition), conclusion. Finish your report (keep reading first) and have someone grade your research report. Score up to five points for each of the first five categories only. For documentation add up to three points if have six sources and have included them in a proper bibliography. Record your score out of 25. Complete the lab report on the effects of acid rain. Figure out your second quarter grade. Save your written work for your portfolio. (*)Print out your third quarter grading sheet or use the third quarter Excel version. Now we’re going to switch our attention from the earth to space. For our introduction, we’re going to watch a documentary on astronomy. Today watch this video on the inner planets. Watch part 2 on the earth, moon, and stars. Watch part 3 on Jupiter and the outer planets. Watch part 4 on going into space. Watch part 5 on the history of astronomy. Watch part 6 on telescopes. Watch part 7 on constellations. Watch part 8 on constellations. Before we go further, let’s go back to the Bible. Read Does the Bible Say Anything about Astronomy? Answer these questions on the article. Go to chapter 4. Record up to 9 points. Score up to 3 points for each answer. Read Does the Big Bang Fit with the Bible? Answer these questions on the article. Go to chapter 5. Record up to 12 points. Score up to 3 points for each answer. Read Does Distant Starlight Prove the Universe Is Old? Explain to someone or write a paragraph about the different thoughts on the origins of the universe. Answer these questions on the article. Go to chapter 19. Make sure you answer in complete sentences. Record up to 14 points. Score up to 2 points for each answer. Read the introduction to the new unit. Read the key terms for this unit. Please realize some of the root words at work here to make these easier to understand. Helio (as in aphelion, heliocentric, and perihelion) refers to the sun, from the Greek word for sun, helios. Learn the terms using the flashcards. Read about the early astronomers. Read about myths people believe about space. I had heard the Wall of China one, so I did a little looking around. It can be seen from space, just under certain circumstances. Write a paragraph on one that you believed or that you know people believe and why it’s not true. List at least two contributions to astronomy by each of the following civilizations: Mayans, Greeks, Chinese, Egyptian. Do your own research. Little note: It’s rather silly to say that the sun was rotating around the earth because Joshua told the sun to stand still. Joshua wouldn’t know the science of how the world worked. He just wanted it to stay light. God gave him all the light he needed and all that he had asked for. It’s rather silly to say that the Bible is unscientific because it says the sun stood still. For all we know today, we still talk that way. We talk about the sun rising and setting, it’s movement across the sky, even scientists. Read about Galileo. You can skim down to where it talks about him. Read about Galileo from a Christian astronomy site. Read about Kepler and Brahe. Write out the math equation that states Kepler’s third law. Complete this lab on Kepler’s Laws of Motion. Here’s the simulation you’ll be using. If you can’t use it, here’s one that will run on any device. It won’t give you numbers. You’ll have to come up with comparative measurements and time the orbits yourself. Do the best you can with it. Record your score out of 50. (Potential for 3 points extra credit.) Answer everything in complete sentences and don’t leave any data blank. Label your graphs. Watch the presentation on Newton and gravity. Go through the gravity presentation. Go through this page on gravity through the first two practice problems. If you are a scientist in the making, try more problems because it’s fun to solve problems. Complete this lab on gravity. Use this interactive to follow the directions linked above. Do you know your vocabulary? On Day 115 you need to have completed a timeline that includes ten astronomers. Include several pieces of info for each, all written in complete sentences. Make your timeline on paper, on the computer, or online. Work on your timeline. Add images of the astronomers. You will score up to ten points for including up to ten astronomers. You will score up to ten points for including an image of each astronomer. You will score up to ten points for creating the timeline in order and with the appearance of a timeline with appropriately labeled and spaced dates. You will score up to twenty points for including up to twenty correct entries about their discoveries. Score up to ten points for including up to ten astronomers. Score up to ten points for including an image of each astronomer. Score up to ten points for creating the timeline in order and with the appearance of a timeline with appropriately labeled and spaced dates. Score up to twenty points for including up to twenty correct entries about their discoveries. Read through the vocabulary for the new unit on the instruments of astronomy. Read more on electromagnetic radiation. Record up to 6 points for three definitions in complete sentences. Write out the practice problem. Record up to 5 points for up to ten correct, half a point each. Read about light. Keep moving through all those pages. You don’t need to watch the videos. Take brief notes on the development of our ideas on light. Read about the Variable Speed of Light. That’s all you have to do. Take your time and do your best. Look at the diagram about the electromagnetic spectrum. Answer the questions. You can look up any information you feel you need to in order to answer. Check your answers. Score up to 2 points each. Watch the video on the signatures of light. You don’t need to read all of this one, but look for applications of spectroscopy. How can it be used? Complete the Emission Spectrum Lab. Score up to 30 points: 20 points for following all the directions and completing it, 10 points for answering completely the last two questions. Read about the development of telescopes. Take notes on the timeline of its development. Read about how telescopes work (pages 2 to 7, this links to 2) OR watch the video. Read about the Hubble Space Telescope. Research discoveries made by the Hubble telescope and write a paragraph on what you think is one of the most important or exciting discoveries and why. Pretend you’re using a telescope today and explore images in space. You could also use videos and images from Hubble’s site. Learn about the earth’s tilt and the seasons by watching the video. Now study this simulation. Write out at least three observations of what it shows. Record up to 10 points for having up to 5 hours accurately labeled on it. While you’re waiting on the next hour, write down some consecutive sunrise/sunset times and moonrise/moonset times. Make observations. How does it change each day? Read about getting started observing the night sky. Go through the star gazing terminology. And read the top and bottom of this page on constellations. Watch the video on the cycles of the sky. How and why do the stars move across our sky? Now work your way through this page on understanding the motion of stars. How can you use your hands to measure degrees of angles in the sky? You don’t have to use the applet. You can type in answers, and when you hit enter, it will tell you if you were correct. Look at the constellations for the month you are in right now. Tonight, or on the next clear/clearish night, go outside and sketch what you can see. Label the drawing with the time and weather conditions. Draw everything you can see and label what you can. Click on each of the listed months and look at the shown constellations. Move your mouse to make the pictures disappear and then try to find the constellations in the picture. names of the winter constellations (in Blue), and the names of at least five bright stars (in Green). You will need to do some research to find them. There are drawing tools in most word processing programs that will allow you to draw on the image above or you can print out this sheet and draw them by hand. Record your score up to 30 points. Score up to 2 points each for: up to 5 constellations drawn, 5 constellations named, 5 stars named. Watch the video on meteors, meteoroids, and meteorites. Read about comets, asteroids, and meteors. Ask some questions about them at the bottom of the page. Each is a link to learn more. (*)Print out your fourth quarter grading sheet or use the fourth quarter Excel version. We’re back to our online Creation textbook today. Do your best to work through this page on the origin of asteroids and meteoroids. Write or tell a summary of his point about the origins of these things. By the end of Day 138 complete one of the Astronomy Project ideas. Keep track of your sources! Any pictures used should be cited unless they are in the public domain. Work on your astronomy project. Don’t forget to keep a record of your sources. Record your score out of 50 points. Score up to 4 points for each one included. There are four pieces of information expected for each one: picture, description, and the specific info requested in the assignment. Score up to 10 points for including a bibliography with at least 5 sources listed in an appropriate way. (*)Complete this lab on craters. You can print out the chart, or just make your own to fill in. You DO NOT need to take pictures. Score up to 25 points for a completed chart. Score up to 20 points for completed answers in complete sentences. Score up to 5 points for a complete conclusion. Read through the key terms. Watch the video on the moon’s phases. Watch the video on the moon surface, insides, and formation. Read about the moon’s atmosphere. Read from a Christian scientist on the formation of the moon. Read another Christian scientist’s views on the moon. Read about the solar system. Here’s one more introduction to the solar system. Don’t worry about all the links on the page. Just go through the page. Read about the origin of the solar system. Tell someone about the origin of the solar system. Read this article on astronomy confirming a young universe. Write a paragraph on the age of the universe and give proof of your position. We’re going to learn about the planets. Think of how you can take and organize notes on the planets that will allow you to compare and contrast them. Don’t just take notes on each planet. You could take notes on size, on atmosphere, etc. and put the information for each planet together on that topic so you can compare them. Learn about Mercury. You can click on the stats. If you put your mouse over the green highlighted areas on the rotating image, you can learn more. You can also enter your weight. That’s something you can compare between planets. Watch a video on Mercury. Learn about Venus. Continue taking organized notes. Watch a video on Venus. Learn about Mars. Continue taking organized notes. Watch a video on Mars. Learn about Jupiter. Click the buttons for stats and facts. You can learn your weight on Jupiter here. You can write it down for the rest of the planets as well. Watch a video on Jupiter and its moons. Learn about Saturn. Continue taking organized notes and click for stats and facts. Watch a video on Saturn. Learn about Uranus. Learn about Neptune. Continue taking organized notes. Watch a video on Uranus and Neptune. Take the quiz on page 8 on Jupiter and Saturn. You can use your notes. Record your score out of 10. Score up to two points each (including the last set). You can award partial credit. Take the quiz on page 10 on Neptune and Uranus. You can use your notes. Read about the Kuiper Belt. Try the self assessment on page 13. I don’t think those quizzes should have taken a lot of time. If you have time, check out this video on the Oort Cloud. Complete this activity on moon rock density. Record your score for completing all the parts and answering all the questions completely out of 30. Work through the key terms and definitions for the new unit on stars. You can use the matching activity to help you learn the definitions. Go through the three pages on the formation of stars, the life cycle of stars, and fusion in stars. Read about the challenges of using fusion energy. Write a paragraph on the benefits and challenges of having a fusion power plant. Record up to 5 points for 5 sentences written in paragraph form that include benefits and challenges of having a fusion power plant. Go through the page on the fusion process. Don’t click on any links. Watch the video to read and answer the questions. Record the correct answers for all five steps. Score up to 10 points for recording 10 correct answers. Score up to ten points for complete answers in complete sentences. Read this article on speedy star changes. Read the Faint Young Sun Paradox. Tell someone (or write) about the problems with old stars and stars evolving over millions of years. How about another video? Watch the video on stars. Read about the life cycle of a star. Here’s a list showing the life cycle of a star. Then go through this page and do the student activities at the bottom of the page. Record your score out of 45 points. Score up to 1 point for each completed numbered direction 1-25. (up to 25 points) Record your results and answers as directed. Score up to 2 points for each of 15 definitions. Read about the brightness of stars. One way to mathematically figure a star’s brightness is by using the inverse square law. Here’s another explanation. Here are the links you are told to go to. Then take the Crash Course. How far it is from the earth to the edge of the Milky Way? (Find the answer.) How long would it take to get there? Watch this video on galaxies and part 2. Read about the number of stars. Record your score out of 40. Score points for completing each portion, including answering in complete sentences. Follow the directions and create a classification for these galaxies. Fit the galaxies into four categories. Describe each category so that others would place the galaxies into the proper category. List the category name or number, its description, and which galaxies from the link would belong in that category. Score up to 15 points for fitting each galaxy into a category. Now place the galaxies according to Hubble’s categories. Compare the two sets of categories. Which is better? Why? You can read more about different types of galaxies here. On the bottom of the page, you can click to read more about the different types. Watch this video on dark matter. Now read about it from a Christian perspective. Write a paragraph or explain to someone about dark matter and why it matters. Watch the video on the Big Bang. You need to know what this is even if you don’t agree with it. It’s a part of our culture. And here are two articles from a Christian perspective. Why does the universe appear to be expanding? Follow the directions and do your best to decide if each card is an observation or a guess and for which theory. article: Cosmic Times Origin of Everything: Hot Bang or Ageless Universe? Score up to 10 points for placing all of the cards into categories. Write a short paragraph summary as described. Score up to 5 points for a complete paragraph telling which you think is most based on evidence. Does the Bible refer to life in outer space? Aliens are not something to get fascinated about. There are many testimonies of people who do believe they were visited or abducted by aliens. They were able to get rid of them by calling on the name of Jesus. They fled like demons do in such instances. I feel like we have to believe the testimonies of Christians who say they have faced this terrifying ordeal and not just dismiss aliens as nonsense. Many brought it on themselves by getting “into” aliens. I personally believe that aliens are just one more deception of Satan. I just want to warn you to not seek info on them, etc. I, of course, don’t believe in aliens as real beings living out in the universe. I think they are demons, and I don’t want to see one! Choose a creationist astronomer to write a short report on. Do research and complete a report by the end of Day 175. Keep track of your sources. You must have more than one! You will score up to 25 points for at least five paragraphs. Is the person’s contribution to astronomy and creation perspective clearly shown? Does the report have a conclusion and introduction? Score another five points for including a quote. Make sure you show where it is from. Continue working on a report on a creationist astronomer. Make sure to list your sources. Here’s a site to help you list your sources in the proper format. Finish your report on a creation astronomer. Here’s a site to help you list your sources in the proper format. Record up to 30 points for at least five paragraphs and including a quote (5 points). Questions to consider when scoring: Is the person’s contribution to astronomy and creation perspective clearly shown? Does the report have a conclusion and introduction? Look through the 15 evidences of a young universe. Decide which you think are the most convincing. Think over all you have learned this year, not just about astronomy but about our earth as well. Write one last report. Write on the origins of the universe. Use scientific fact to show your points. Keep track of your sources. Make sure you show where it is from. Continue to write on the origins of the universe. Use scientific fact to show your points. Keep track of your sources! Present your report. I suggest reading it out loud to an audience (5 extra credit points). Congratulations on finishing the course. Don’t forget to stop and look up! And don’t forget to think for yourself and to always trust the all-knowing, ever-faithful and true God.